Making your own applesauce is so simple! 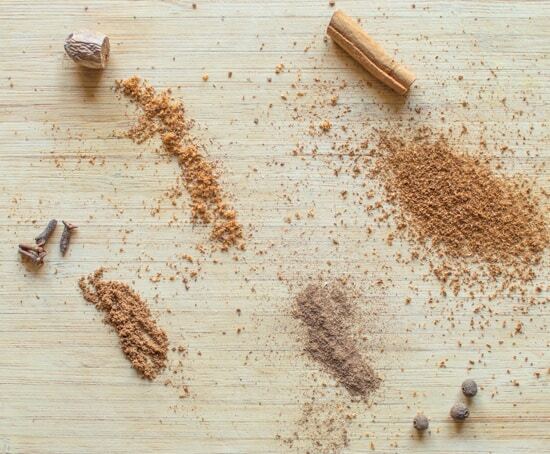 All you need are some apples, spices, your slow cooker, and a blender. 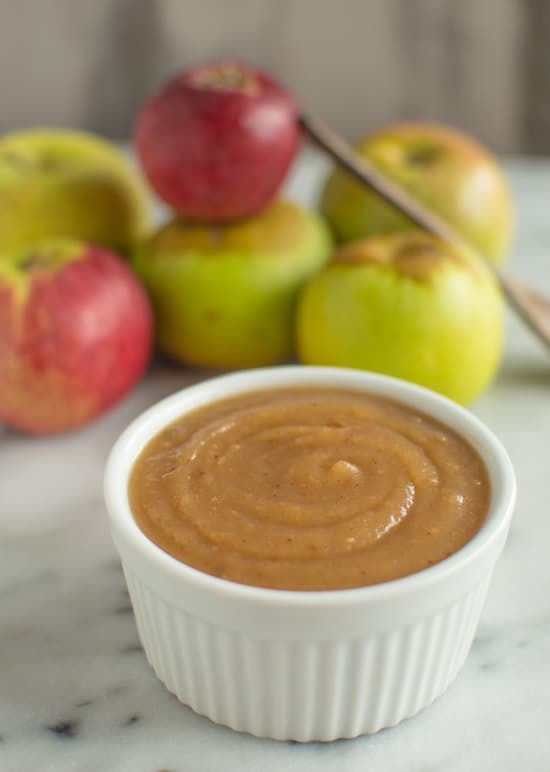 This unsweetened applesauce, served warm, is a great healthy post-dinner treat! Disclosure: I received Spicely products for creating this recipe. I was not compensated for writing this post. As always, any opinions expressed are 100% my own. Thanks to the brands who help me stay inspired in the kitchen! The best part of the farmers market is the end of the day sales. Around noon time on any given Saturday, you’ll find me out on the prowl with my grocery bags, ears perked for any signs of discounted goods. Hearing the words “dollar a pound” and “everything must go” is like listening to the sweet songs of Siren, luring in shipwrecked sailors. I’m the shipwrecked sailor who can’t turn away from a good deal. Lately, I’ve been stuck on those dollar bins of not-as-pretty apples. One apple vendor at the market always gathers up all the slightly blemished apples and sells them for a dollar a pound. Organic apples that only cost me a Washington! But what would you do with a large bag of pock-marked apples? I wish that the not-as-pretty apples got a bit more loving sometimes. 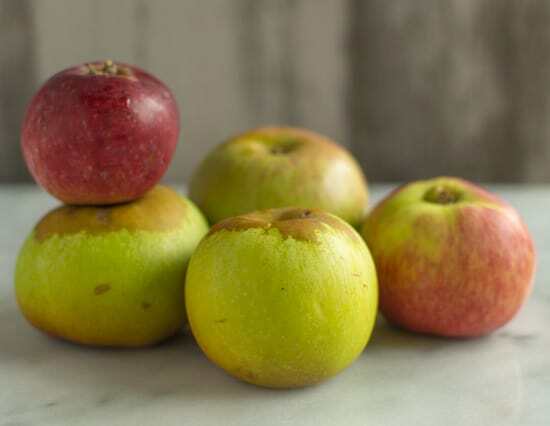 When those babies are peeled, chopped, and tucked underneath a flaky pie crust or suspended in the middle of a fluffy muffin, no one can tell whether the apples were pretty or blemished to begin with. Trust me. Today, however, we’re not going to bake those apples. We’re going to sauce them up. 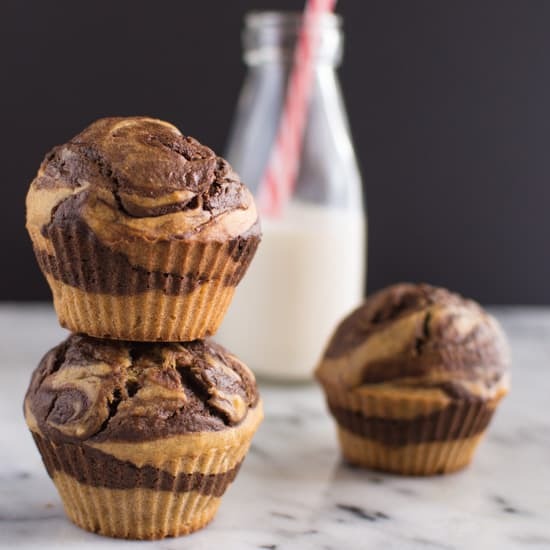 You may have noticed this already, but I’m a huge advocate of using unsweetened applesauce when baking muffins or quick breads. 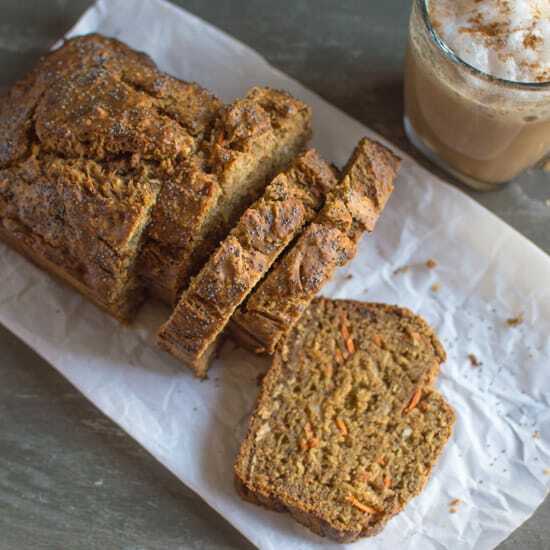 In general, I prefer naturally sweetened baked goods, and unsweetened applesauce is a great way to substitute some of the sugar in a recipe. That’s why I always have a six-pack of applesauce cups lying around the house. 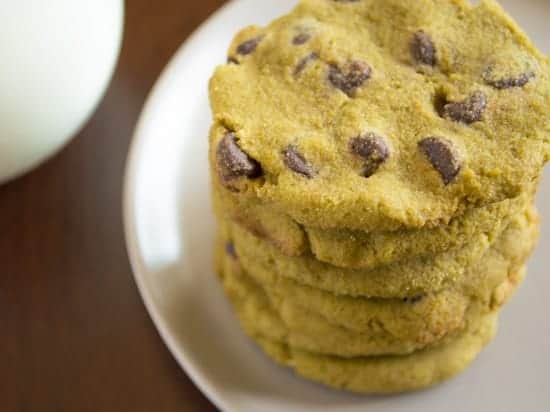 They’re the perfect size for my baking purposes, and they last forever. I never snack on them though. Let’s face it, store bought applesauce is as bland as baby food. But not if I made my own! Making my own applesauce felt like one of those choose your own adventure books—I chose exactly which apples I wanted and the particular spice blend I fancied. This time, I craved a sweet and tart applesauce, so I picked a couple of golden delicious apples and a few tart varieties. As for the spices, instead of just using cinnamon, I decided to add a bit of nutmeg, cloves, and all-spice to give more depth of flavor. I try to cook with as many organic ingredients as I can in my cooking. 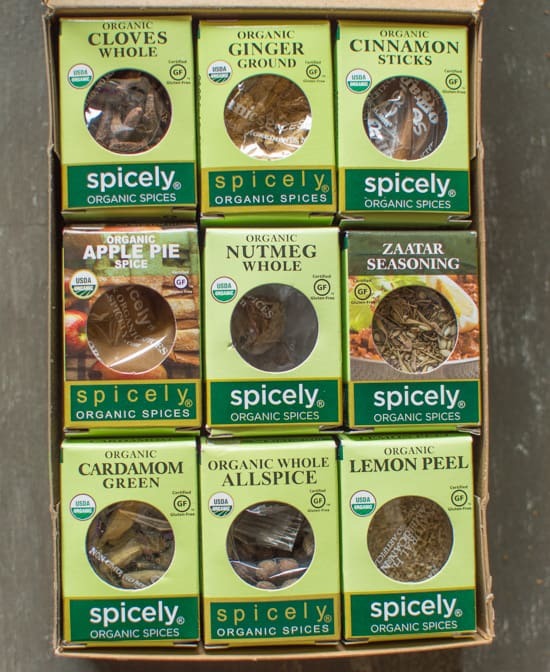 When it comes to spices, I often rely on Spicely because all their spices are certified organic, non-GMO, and fair trade. Plus, they’re based in Fremont, which is very close to me! This little package made me incredibly happy when I got it in the mail. We’re going to use the slow cooker to help us out with this recipe because it makes life so much easier. Chop the apples, throw it in the cooker with some spices, set it, and FORGET IT! (Remember those Ronco infomercials?) When they’re cooked, take the immersion blender straight into the cooker and blend. Of course, you can dump all the apples into a blender and mix it that way too, but I was too lazy. There’s no shame in taking shortcuts in the kitchen! At least, that’s what I tell myself. Your instinct says that you should wait for the applesauce to cool before tasting it, but you’ll want to go right in with your spoon. Just do it. Mmmm, mmm! Those are sounds of one happy tummy. Who knew that warm applesauce could be so dang tasty? Chop the apples into fairly thin slices. I peeled about 4 of the apples and left the skin on 3 of them. Place the apples and spices in a slow cooker, and set it on low for 4 hours. 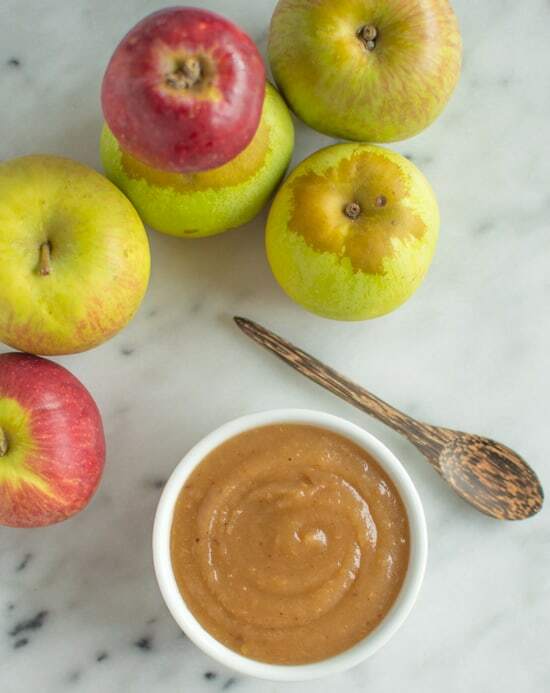 When the apples are done, take an immersion blender and blend the apples until it turns into a smooth sauce. You can also blend everything in a blender, but I was too lazy to do that. Enjoy it warm or refrigerate it for 2 weeks! Here’s what you can bake with that fresh batch of applesauce! Note: This post contains affiliate links, which means I earn a small commission when you buy products through those links. Thanks for supporting Healthy Nibbles & Bits! Love hitting up the markets at the end of the day…I always get some good deals. 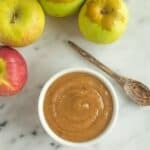 I’ve never made apple sauce in my slow cooker…it’s on my to do list! It’s ridiculously good! I might have to try it with pears next! Applesauce is so great for baking! I also really love just taking a spoon and dipping into it… I love going to the farmer’s market and finding cheap, good quality produce. I don’t have a slow cooker, so I just make it on the stove top. Yummy! Yes! Let me know how the stovetop version works for you! Apple sauce rocks! It goes so well eaten on its own, as a dip, for baking, anything sweet OR savory! Yum . . . applesauce with something savory. I have to that next. Store-bought applesauce can be so plain, so I love how you spiced this up! It’s true, they all have that generic apple flavor! Yes!! This looks absolutely perfect! I adore unsweetened applesauce and can just imagine how fantastic it makes the house smell while it’s cooking up. I don’t have to imagine, though – I’m cooking this up tomorrow! Thanks so much for the fantastic inspiration! I forgot to mention how my apartment smelled! Yes, it smelled like I was making apple cider around the house all day long! 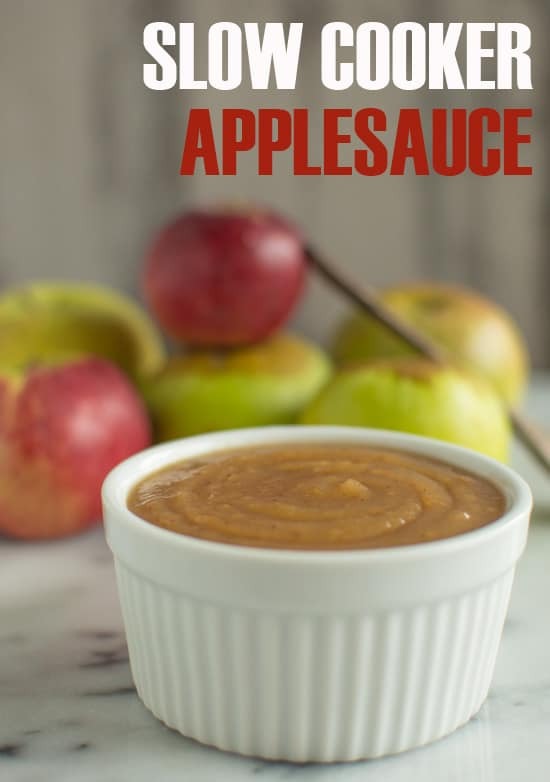 I seriously need to try this. . my kids eat so much applesauce it’s crazy. . love this, Lisa! Thanks, Alice! I think it would be fun to throw in a few pears in there, too? I just thought of it, and I might do it next time! I love applesauce, especially when it is homemade. And, using applesauce as a sugar replacement when baking is my go-to. It makes it so much more healthy, and no one ever notices. I can’t agree with you more! People usually get surprised when I tell them I used applesauce! It is PERFECT for baking! But yea, when it comes to eating it, you either hate it or love it. My 18 month old daughter loves apple sauce so this is definitely going on the to-do list! Thanks for the great post! Thanks, Sonali! Let me know how it goes! I’m def guilty of buying pre-made applesauce. Like you, I add it to a lot of my baked goods. Super fun to experiment with it ;). I’m loving your spicier version! There’s totally no shame in buying applesauce. It’s just easier sometimes! Organic apples for a dollar a pound?! So my favorites are Pink Lady apples and my address is…lol J/k. But seriously, that’s awesome. I should follow your lead and hit up the farmer’s market later in the day, but against my better judgement, I go late morning and convenience trumps logic. I like to shop in the morning and get it out of the way. 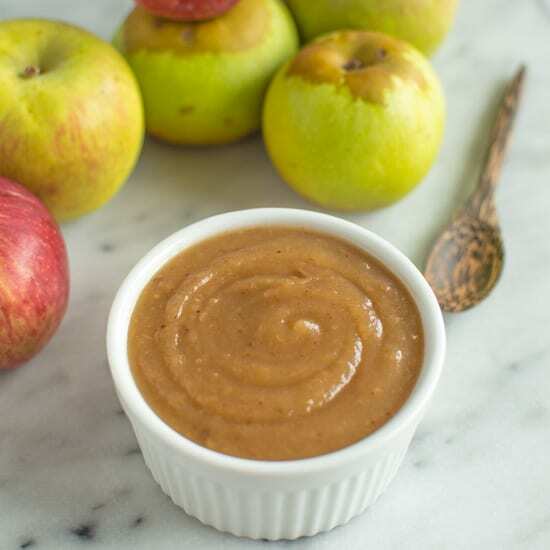 This apple sauce looks so delicious, and with some of my favorite spices too! Thanks, Christine! Sometimes, I feel like I waste away my morning a bit when I wait to head to the farmers market at noon, but then I think about all the cheap produce. It’s worth it for me! I love how you’ve given the ugly duckling apples a home in your applesauce! Homemade applesauce is really so amazing and infinitely better than storebought! Yes! I’m hoping to do something with pears now!